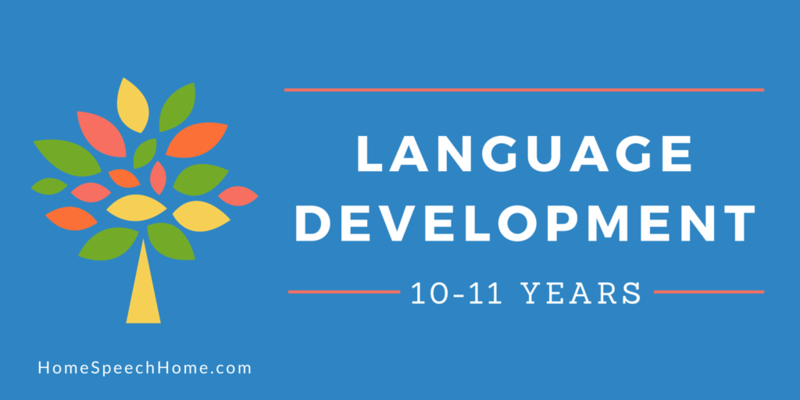 Language development in children 10-11 years: Children at this age can prioritize, organize, plan, report, and summarize effectively. Their writing is more complex than their conversational language. They also tell jokes using more complex language and ideas. They are able to form their own opinion, present their point of view, and actively participate in discussions with others. *NOTE: The ages and their corresponding grades are based upon guidelines followed in the United States. "I am in hot water." "That math problem is a bear."